A big thank you to all our customers for your support the past year. Now the Christmas festive period has passed and we’ve said farewell to 2017, its time to look ahead and be positive to the fresh New Year and look forward to what will come. We have reopened this week after our holidays and we’ve been busy here at Kensingtonflowers. Our customers are re stocking their houses with fresh Orchid plants, spring flowers and sending many ‘thank you’ and early January birthday bouquets. The studio has had a good spring clean, we have been clearing away the remnants of Christmas and enjoyed having a little layout change around. 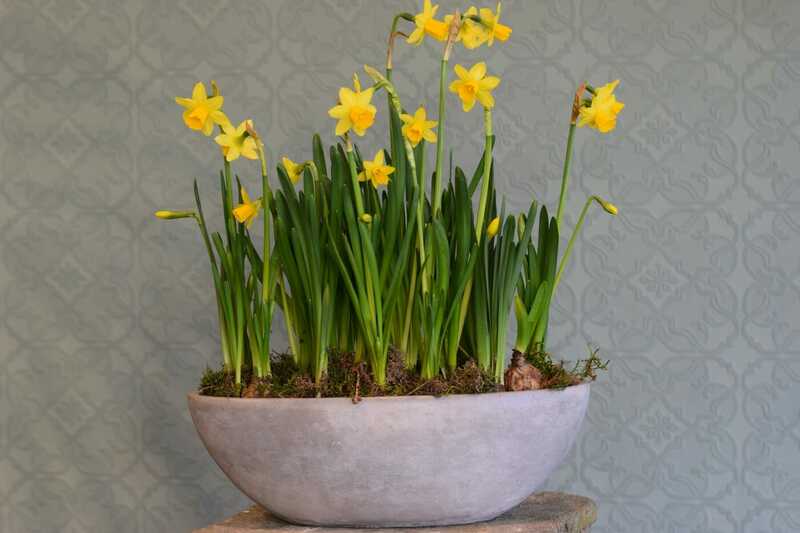 Douglas has been busy planting up spring bulbs of hyacinths, Hellebores, tete-a-tete and primulas whilst Juliet has enjoyed buying and stocking the shop with wonderful spring flowers. Anemones, scented narcissi, tulips, lilac to name a few. The studio is looking and smelling beautiful! Why not come and visit us? Wishing you a very happy, healthy, peaceful and exciting 2018 from all the team at Kensingtonflowers. 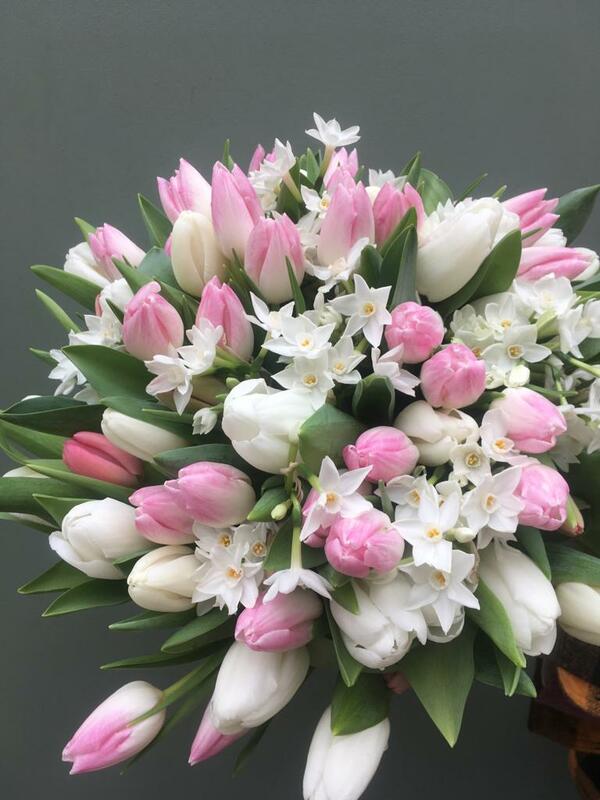 The sun is shining and spring cut flowers are in abundance, beautiful scented narcissi, hyacinths, ranunculas, anemones and lilac, displaying cheerful promise for what lies ahead for 2017. Pleased to say we have had a good start, with many bouquet London flower deliveries. Lots of people sending ‘Thank you’ flowers and many celebrating January birthdays. 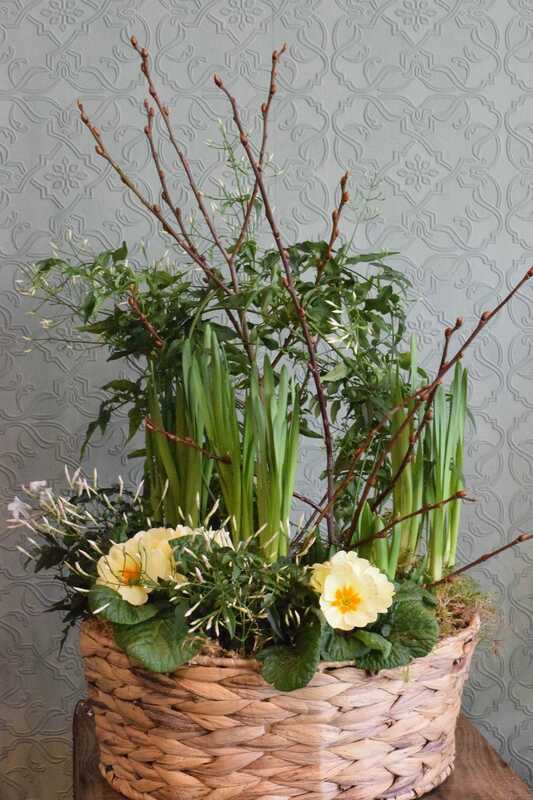 The favourite at the moment is our Seasonal hand tied bouquet and our planted baskets of spring bulbs. Enquiries also already being made for wedding flowers, private dinner party flowers and London Design week which is taking place in March. A good time to plan and book those special dates in the diary. Not forgetting British flower week! The week long celebration of British flowers and foliages. The beginning of March will see a big change for The New Covent Garden Flower Market, as it moves to new premises…sad to have to say good bye to the old market – have lots of memories since my childhood, accompanying my father during school holidays and giving a helping hand, happy times! I wish everyone the best of luck with move. 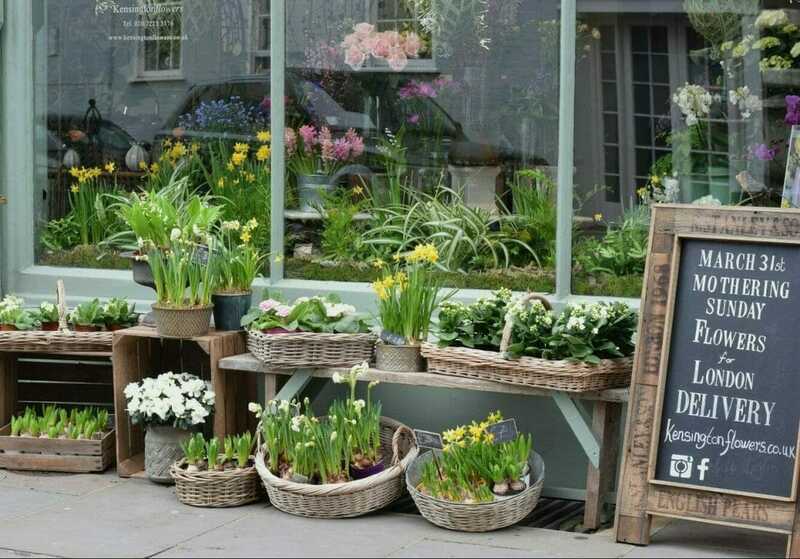 Planted baskets start from £20.00 -Look lovely sitting in a kitchen window..
Bouquets can be made to any budget, recommend a starting price from £ 45.00. Not many better ways than this, to make a special gift of thanks! Not long back to work after the summer holidays and we had our first wedding of the season – A small family service at Christchurch, Kensington then to follow a celebratory reception at the Lanesborough Hotel, Knightsbridge. It was a fresh, all white floral theme celebrating the last days of summer with white hydrangeas, scented freesia, avalanche roses, spray roses and phlox throughout, from the church displays, the bridal flowers to the table arrangements for the wedding breakfast. 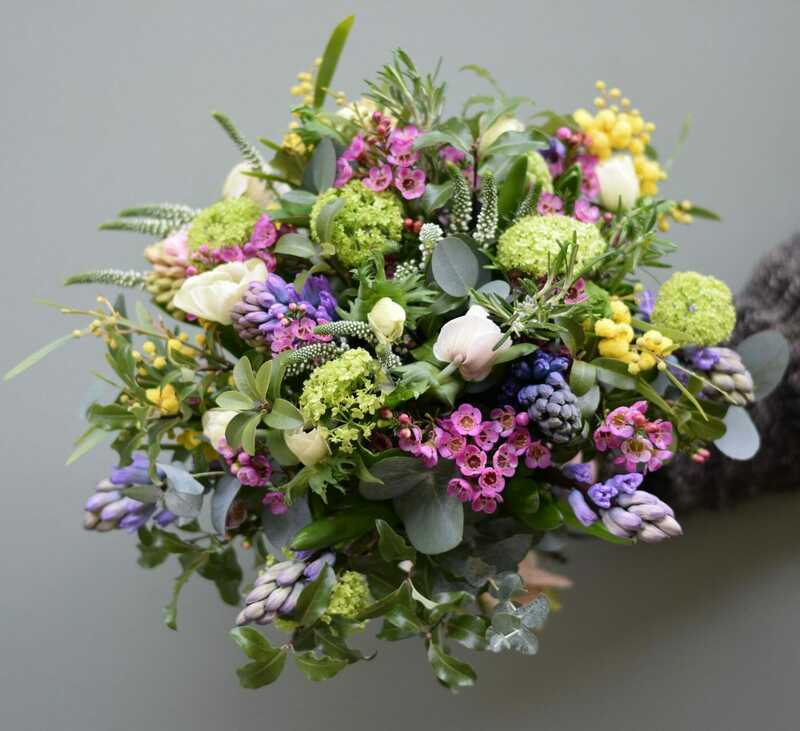 Hello and a warm welcome to the new Kensingtonflowers website! We are so happy about the changes we’ve made and hope you enjoy browsing through our updated online shop. 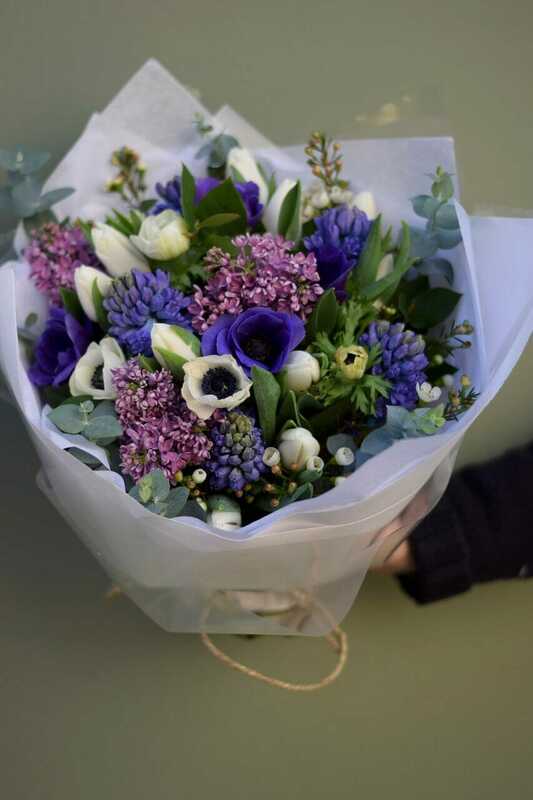 We now offer more choices of bouquets, arrangements and plants to choose from – you can now even order flowers for a whole year, as a very special gift to a friend or loved one. 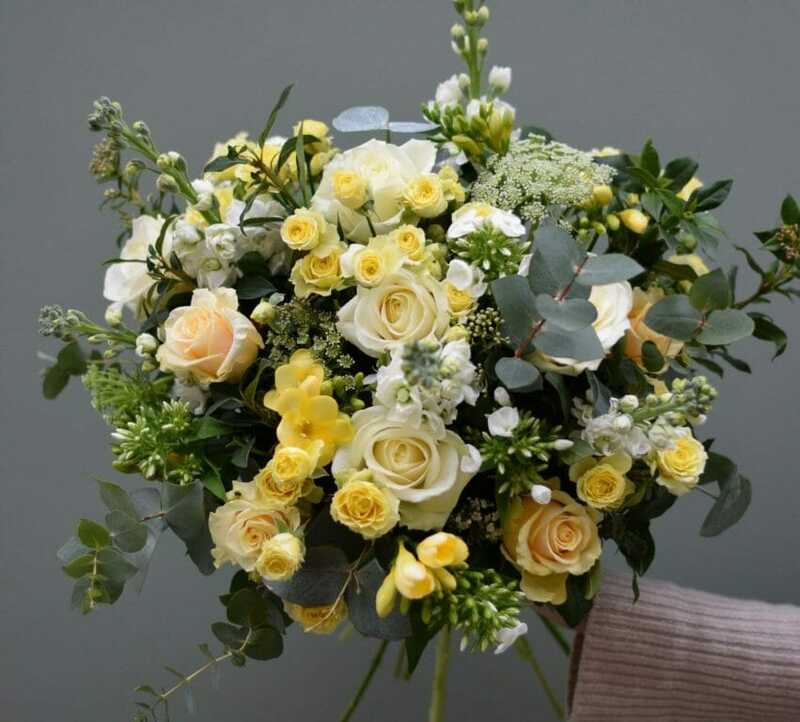 Here at the shop, we often get requests from clients who wish to send flowers on a regular basis, usually once a month, and so we thought it made sense to have this service available to order on our website…Hope you like it! You can now order from us whilst on the move too from your mobiles, pay by paypal, have direct links to our social media pages…making it even easier to get in touch with us. All very exciting! Calendar flowers – order flowers for a month, 3 months, 6 months or a year! It is now just over a year since we’ve moved premises to our flower studio in Victoria Grove, and can’t believe how quickly the time has passed. I hope you feel the spirit of the shop through our new website and I’ll endeavour to keep you updated with our news and activities on this blog.